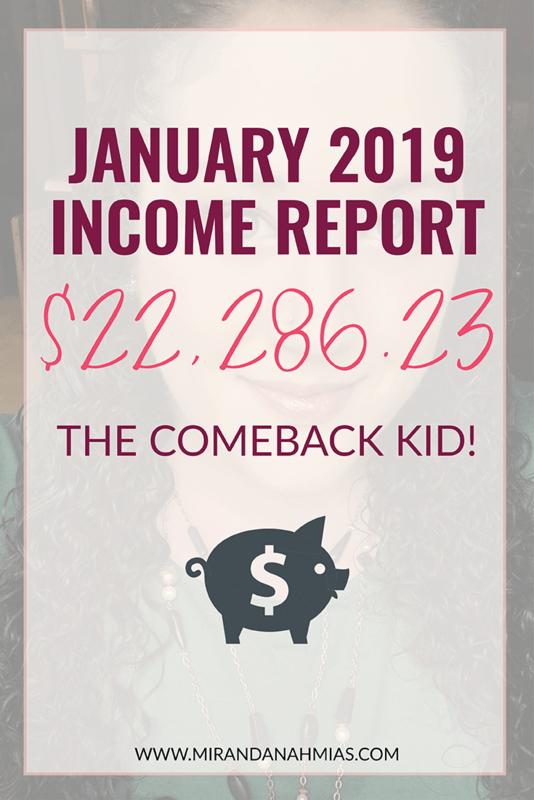 Let’s jump right in with this January 2019 income report! I’m super excited to share with you guys what’s been going on with me lately. Normally I wait until the actual breakdown below to “reveal” the outcome of the month…but this month, I just can’t wait! I’m too darn excited! *drum roll* WE HIT $20K!!!!!!!!!! You guys. This has been a journey. Not gonna lie, I’ve been dreaming about having a $20k month ever since I had my first $10k month. It seemed almost impossible at the time. I could almost barely envision myself actually getting here…but I did! The funny thing is that over the past 3 years of business, I’ve (without fail) hit a similar big goal at the very same time of the year. Back in the winter of 2015-2016 I had my first month of business ever, so making $87 was a pretty big deal in my book. In the winter of 2016-2017, I had my first $5k month. 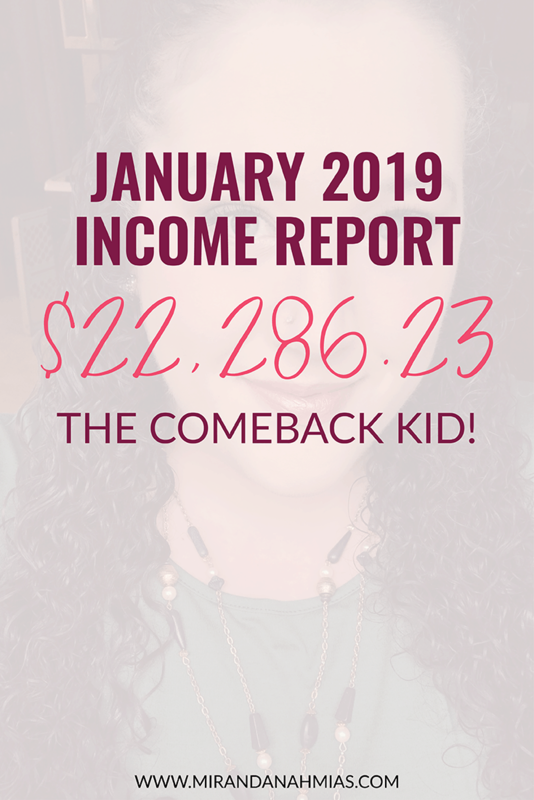 And now, finally, in the winter of 2018-2019, I had my first $20k month! One month later than I had originally wanted, but not a dollar short (in fact, $2k extra dollars if anyone’s counting!!). It’s kind of funny how that works out. Hired a new bookkeeper — Woohoo! This was a godsend. Our bookkeeper left us back in the fall after she got a full-time gig working for Julie Stoian, so we were left without an official bookkeeper for a few months. I had Brent doing it in the meantime, but we are apparently not very good at managing our own accounts haha. So back to a real bookkeeper it was! I’m so glad we did this because even though we’re not saving that money each month, it’s taken a huge weight off of our shoulders. Hired a new customer service manager — Yup, I hired two new people in January! It was a bit of a crazy month. 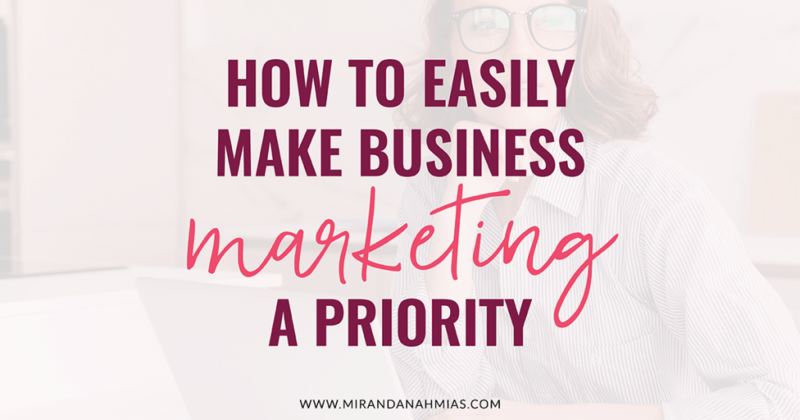 But this was also an awesome decision for my business. Up until now, customer service had been being taken care of by a combination of me, Brent, and one of our team members, but it was starting to become a hassle. And it didn’t really make sense to have THREE of us working on it, instead of having 1 dedicated person to manage it all. 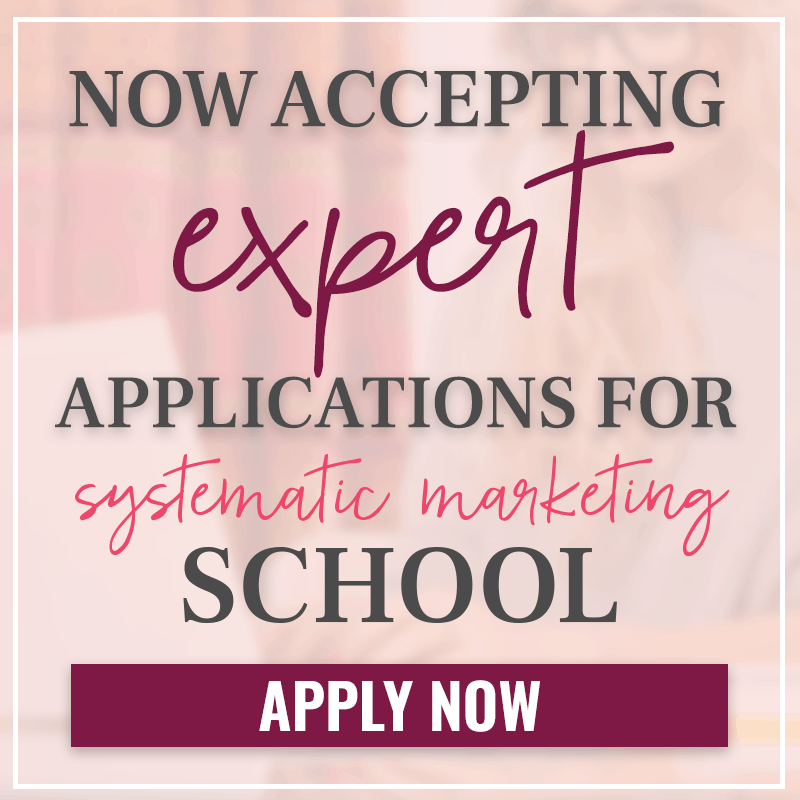 Especially since launching my Systemize + Scale course and just in general having more students, there have been way more random questions and service issues to deal with. Which is fine, but I can’t handle it all on my own anymore! So now I have an actual customer service person who is helping me take care of things! The fun part (for me!) has been creating all of the customer service SOPs. 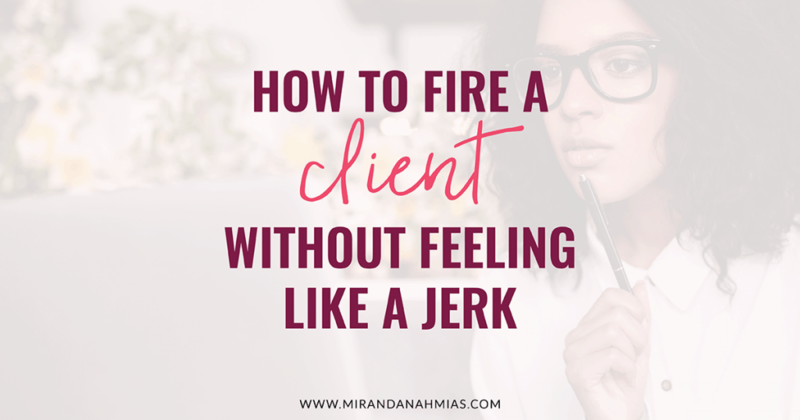 Every time there is a new issue, I deal with it once myself and create an SOP with step-by-step directions and even things like canned responses to use for certain situations. And then if it happens again, my customer service manager knows exactly what to do! I love it!! I started using a physical planner/goal tracker — This is something totally new to me. While I have always LOVED the idea of using a physical planner, because I think they’re super adorable and awesome, I could never stick with using one. And it was really hard for me to find one that I thought was useful, because so much of my information is online, like my appointments are in Google Calendar. So why did I even need a physical planner? Believe me, I was dying to find a way to work one into my life. Cute planners = life. This year, I was determined to find one that I would use. Enter the Best Self Co. planner! It’s perfect for me because it’s really more of a goal tracker than a planner, and has made me SUPER productive these past few weeks. I’d definitely recommend it if you’re looking for a planner that’s super effective and really customizable to your personal goals. 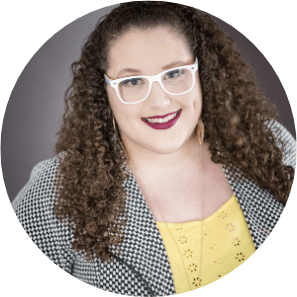 My Goals For January 2019: Success or Failure? 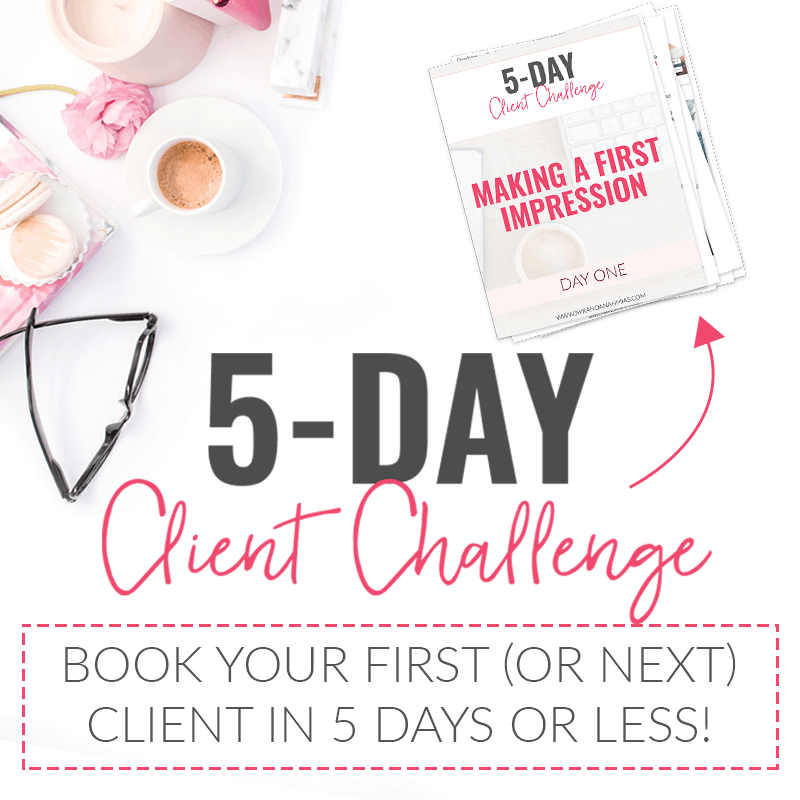 Do a push for selling my Pinterest package before we raise the price — SUCCESS! During the last week of January, I did a big sales push for my Perfect Pinterest Package, because I was raising the price. It went SUPER well! 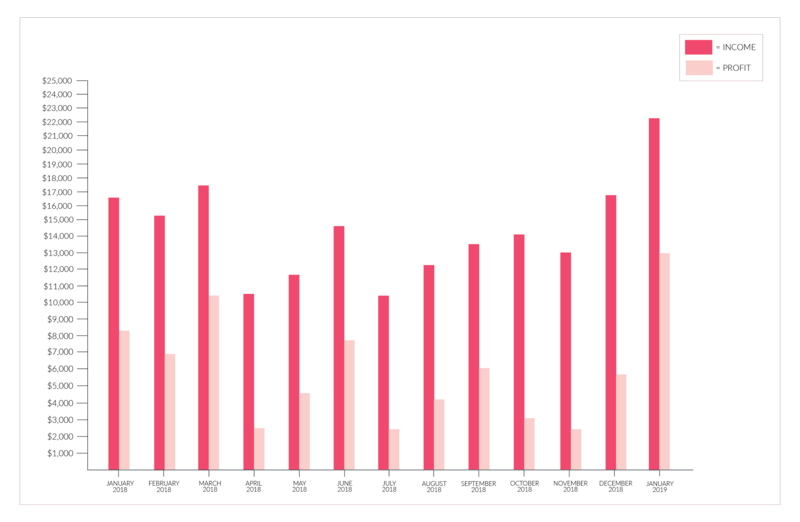 Start revamping copy + design of new Pinterest package sales page — SUCCESS! Over the past few weeks, I’ve been working on redoing the copy of the Pinterest package sales page, and now it’s ready to be designed! 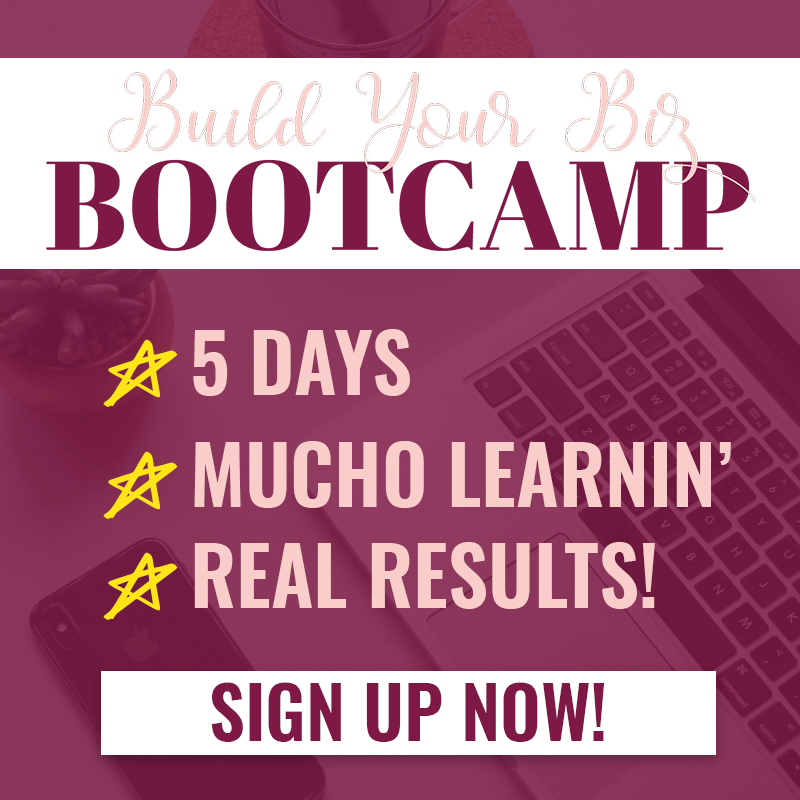 Prepare and schedule 5 newsletters + 7 blog posts — SUCCESS! I managed to get 11 blog posts + 7 newsletters done! 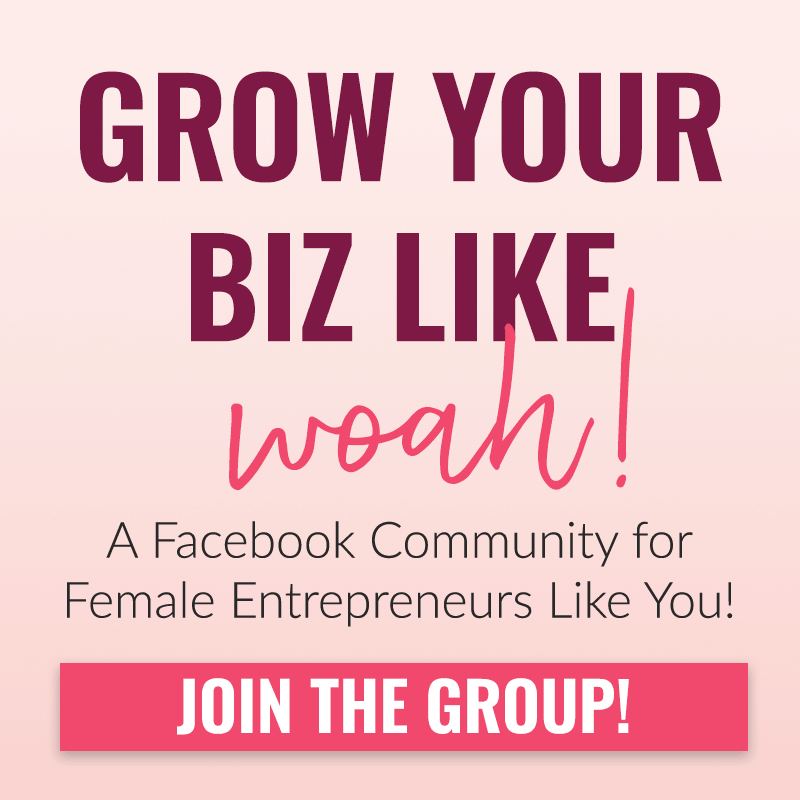 Make $6,000 from social media packages — SUCCESS! 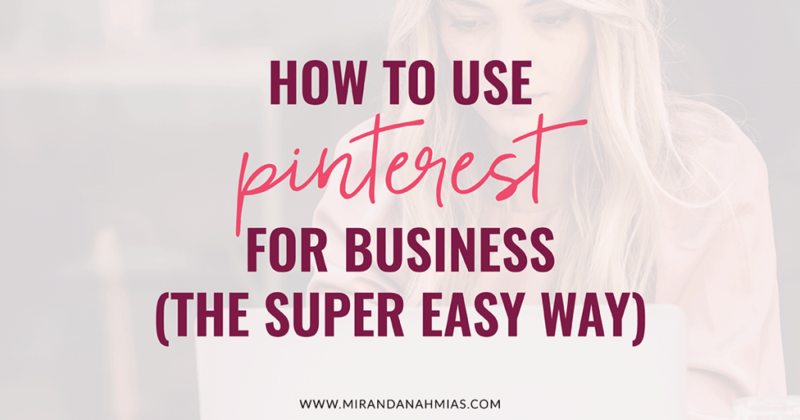 In large part due to the Pinterest sales push, we definitely hit this! My Goals for February 2019 — Let’s Do This! Start running Facebook ads for my Perfect Pinterest Package. Make $6,500 from social media packages. 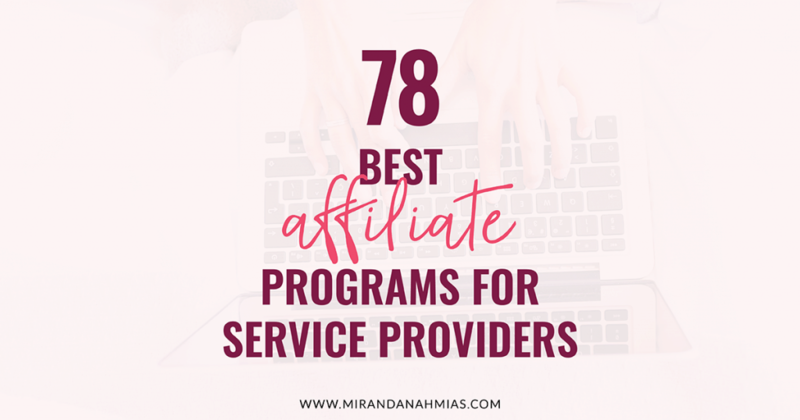 Prepare and schedule 6 newsletters + 6 blog posts. Add 5+ new things to my Systemize + Scale program. 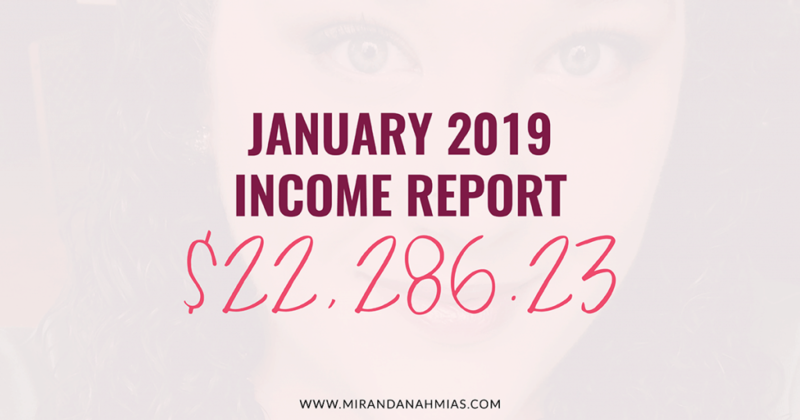 January 2019 Income Report: All the Stats & Analytics! This month went AMAZINGLY well. There really isn’t much else I can say right here except I’m so pumped that we hit such a huge goal and had an insane amount of profit! Not included in the report above, but still technically an expense, was a $3,000 payment towards our 2018 estimated taxes. This money came from savings, though, so I did not include it in the above report. I don’t think that I can keep the momentum up quite this much every single month of 2019. I don’t know that I will hit $20k every single month. 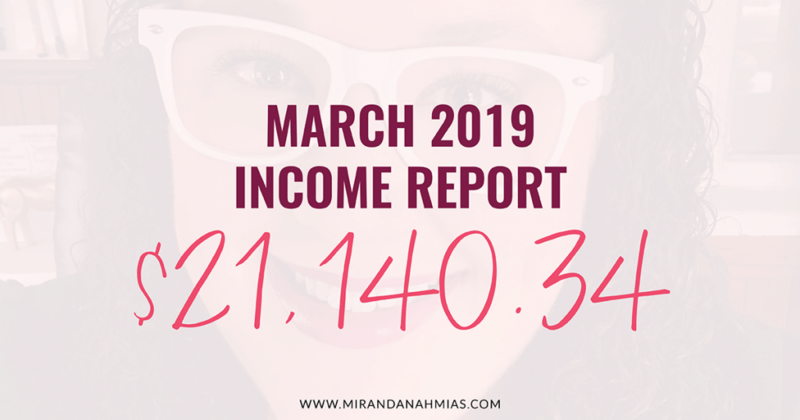 But my goal is to make $300,000 this year, so I kind of do have to make an average of $25,000 every month this year. I’m not quite sure exactly how this is going to happen…but I’m going to make it work! I foresee some big launches and awesome passive income in my future!